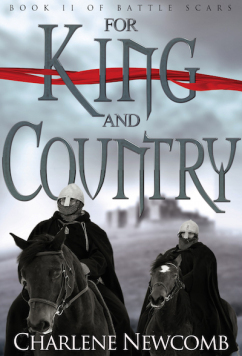 Book Corner: For King and Country by Charlene Newcomb – History… the interesting bits! My latest book review, of Charlene Newcomb’s fantastic novel, For King and Country – the 2nd instalment in her Battle Scars series– has gone live over at The Review today! Ten months ago I did my first review for The Review. The book was the first instalment of Charlene Newcomb’s Battle Scar’s series, Men of the Cross. Ms Newcomb must have been quite happy with the review, as a few months ago she asked me if I’d review Book 2 in the series. I jumped at the chance; I needed to know what happened next, to Henry, Stephan, Robin, Little John….even King Richard. I needed to get back to the action. And For King and Country did not disappoint. The story begins with Henry and his friends arriving home to Lincolnshire, but their fight doesn’t end there. With Richard still in a German prison, they now have to help Queen Eleanor thwart the plans of King Richard’s brother, John, to steal the throne. For King and Country is one of those rare books that is impossible to put down. I often found myself reading late into the night…. To read the full review of this wonderful novel – and to enter the prize draw and be in with a chance of winning your very own copy of the e-book in the giveaway, simply visit The Review and leave a comment. Good luck! Ok I’m hooked ! Will be getting the first as soon as I’ve finished the book I’m now reading. Couldn’t comment on the link as don’t have a google account. Ah don’t worry, I’ve read both now! 😊 really enjoyed them.